The accurate design of earth–space systems requires a comprehensive understanding of the various propagation media and phenomena that differ depending on frequencies and types of applications. The choice of the relevant channel models is crucial in the design process and constitutes a key step in performance evaluation and testing of earth–space systems. The subject of this book is built around the two characteristic cases of satellite systems: fixed satellites and mobile satellite systems. 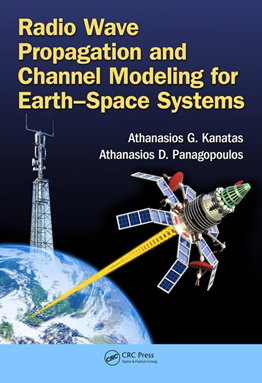 Radio Wave Propagation and Channel Modeling for Earth–Space Systems discusses the state of the art in channel modeling and characterization of next-generation fixed multiple-antennas and mobile satellite systems, as well as propagation phenomena and fade mitigation techniques. The frequencies of interest range from 100 MHz to 100 GHz (from VHF to W band), whereas the use of optical free-space communications is envisaged. Examining recent research advances in space-time tropospheric propagation fields and optical satellite communication channel models, the book covers land mobile multiple antennas satellite- issues and relative propagation campaigns and stratospheric channel models for various applications and frequencies. It also presents research and well-accepted satellite community results for land mobile satellite and tropospheric attenuation time-series single link and field synthesizers. The book examines aeronautical communications channel characteristics and modeling, relative radio wave propagation campaigns, and stratospheric channel model for various applications and frequencies. Propagation effects on satellite navigation systems and the corresponding models are also covered.